Congratulations Ruby on passing your Cat C+E today with only 1 minor. You should be very proud of yourself. Great to see you return to complete your training with us. If you would like to know how to obtain your Category C+E HGV licence, then we have some information for you here. If you’re looking for some reasons to motivate you to pass your LGV lorry licence certification, then this guide has information you’re looking for. In particular, we’re going to show you some of the key benefits of passing your LGV lorry licence – so by the time you’ve finished reading, you will fully understand why passing this test will be one of the smartest career decisions you’ve ever made. With this in mind, let’s get straight to it. Perhaps one of the main reasons why you will want to get an LGV lorry licence is because it will greatly enhance your opportunities for high-paying work. Regardless of your previous driving experience, getting the appropriate certification to drive these larger lorries will go a long way towards improving your job prospects, and there’s always countless employers who are hungry and eager to hire fresh graduates of this certification programme. It’s also worth noting that there is currently a huge shortage of LGV drivers in the UK ñ and this shortage is estimated to rise up to 150,000 by 2020. Ultimately, this means you’ll never be short of work once you have passed the training to become a qualified LGV driver. Additionally, it’s safe to say that there is plenty of room for career growth once you become a qualified LGV driver. Once you have passed the certification programme and have acquired some experience, you can soon make a name for yourself as a top driver, who will then be given the opportunity to drive fragile loads and earn an even better salary. Being an LGV driver often gets a bad rap in the mainstream world, but most drivers know how fulfilling the work can truly be. Of course, most types of driving job can soon become monotonous after a while. But becoming an LGV driver means you’ll never be bored because you’ll be able to drive across the entire country, and experience far more job satisfaction than you’ll ever find from the office lifestyle. While many traditional driving jobs aren’t known for the excellent pay, the LGV industry is certainly an exception to the rule. In most cases, you can expect to earn around £500 a week, growing to £40,000 a year ñ which is certainly nothing to complain about, especially compared to alternative driving jobs which pay nowhere near as well. Overall, it’s easy to see that taking the time to acquire an LGV lorry licence is going to be in your best interests if you’re aiming to improve your driving career prospects and earn more money. What’s more, it’s worth learning from one of the best trainers in the country if you’re looking to really increase your employment opportunities – and that company is Train Drive. With a fantastic reputation in the industry, and well regarded as one of the top trainers in the UK, you simply can’t go wrong by turning to Train Drive when you’re aiming to pass your LGV certification test on your first attempt. If you are looking for a large goods vehicle licence, then LGV licence training is what you need to attend to get trained on how to operate these larger machines and to get schooled on the different laws that govern their driving. An LGV is basically any vehicle (truck) that has a gross combination mass of well over 3,500 kgs and Traindrive offers exclusive LGV and HGV training courses that are designed to ensure that you get the best training when it comes to driving these vehicles. Traindrive, which is an Approved Driver CPC centre, offers LGV/HGV licence training courses which are practical road courses that are offered by an Advanced DSA Driving Instructor. The great thing about approaching Traindrive is that you are assured of getting the best training you can afford. With a high pass rate at low course prices, trainees get the best advice and a unique hands-on experience as the centre offers a trainee to trainer ratio of 1:1. However, if you are looking to have your course cover a longer period, then their 2:1 training ratio would best suit you. 1. Have a provisional and medical licence. 2. Pass all theory tests. 3. Book for a LGV Licence Training Course with Traindrive. 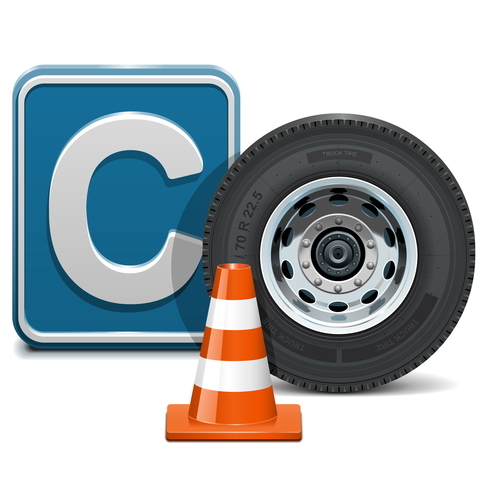 The great thing is that if you already have passed the CPC module 1 and 2, you can sit for driver training for the 3rd module and Traindrive will give you the CPC module 4 Training free of charge. 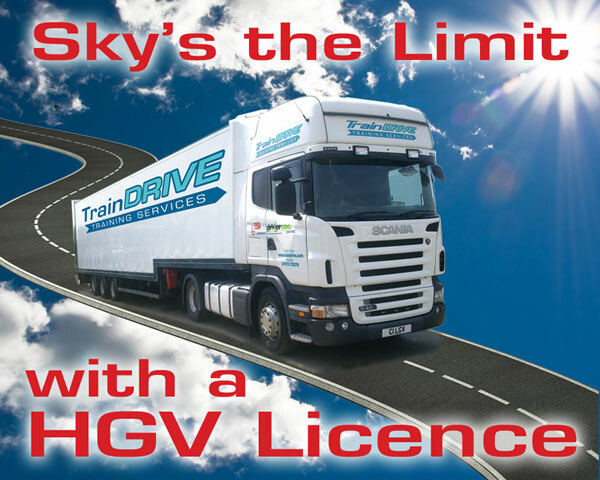 If you are looking for the best LGV licence training in the United Kingdom, then Traindrive is the company to approach. Looking for work can be tough in todays market but with a heavy goods vehicle Licence you can be sure there is work out there for you. Companies and agencies are always looking for Commercial Class 1 & 2 drivers. Traindrive is a high quality, professional commercial driving centre. Our instructors are DSA Advanced Driving Instructors and we are an Approved Driver CPC centre. We offer the best standard of training and vehicles to ensure your competency on the road. LGV drivers will always be in demand. A Class 1 or Category C+E or Artic licence is the largest of our LGV training fleet. WE OPERATE A FULLY SERVICED FULL SIZE 40T SCANIA R SERIES 480 TOPLINE WITH A TRI – AXLE BOX TRAILER FOR THIS LGV CLASS 1 COURSE. This ensures that your training gives you valuable experience in a full sized training vehicle, representing the reality of your first day of employment. A Class 2 or Category C or Rigid licence is the smaller of our LGV training fleet. WE OPERATE A FULLY SERVICED FULL SIZE 18T SCANIA 260 94D FOR THIS LGV CLASS 2 COURSE. Should a candidate fail a test, the test report will be analysed and a further retraining programme will be proposed as appropriate. BOOK YOUR COURSE NOW! Don’t forget your Periodic CPC Training to stay legal! Training Centre for LGV Class 1 licence & LGV Class 2 licence at a competitive cost!! Traindrive offer a high quality, professional service with excellent vehicles for people who live in London, Kent or Essex. Our instructors are DSA Advanced Driving Instructors and we are an Approved Driver CPC centre. We offer the best standard of training and vehicles to ensure your competency on the road. LGV drivers will always be in demand. Don't delay - contact us today and let us help put you on the road with confidence. We can also provide corporate fleet training and assessments for company vehicle drivers. Copyright © 2019 TrainDrive. All rights reserved.